This clip was too short to say much, but it’s notable for being the first published reference to Green’s embryonic website. 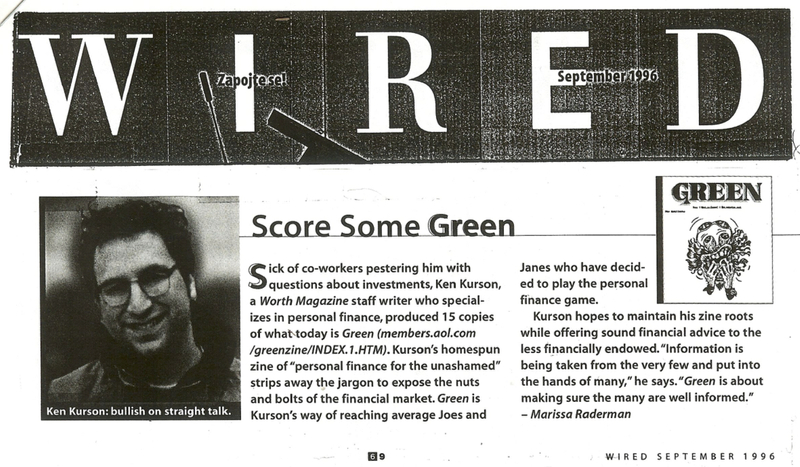 The crazy URL is the giveaway that the web was in its infancy, but Green’s embrace of it early and hard was instrumental in the magazine eventually being acquired by publicly traded Bankrate.com. Even a story as short as this helped, since Wired was the undisputed king of tech coverage for a popular audience. Terrible picture of Kurson at maximum dorkiness, but what the heck—still fun to be in Wired.